That breeze you feel might not be a refreshing alpine wind but instead the sigh of a teenager. While your ski trip may be well-planned, it creates an unfamiliar environment and time spent away from home for some younger group members. Their skill level may be higher than younger children and even adults in your party, and they may balk at sticking with a large, unwieldly group. Fortunately, there are plenty of approaches and resources to ensure your group’s teens have an enjoyable time. After a long day on the slopes, many adults want nothing more than an evening soak in a hot tub and rest. For high schoolers in your group, sundown signals the day is just getting started. To extend the day and keep antsy adolescents out of your lodging, consider a round of night skiing. Resorts across the country have rapidly invested in illuminating their terrain with industrial lights and keep lifts open later. In this setting, teens can ski more aggressively with lighter crowds and stay on the mountain longer while the rest of your group retires. Night skiing can be attached to a day pass or bought as a solo purchase, depending on the resort’s pricing structure. While group lessons may work for some parties, the difference in skill levels can sometimes lead to frustration. 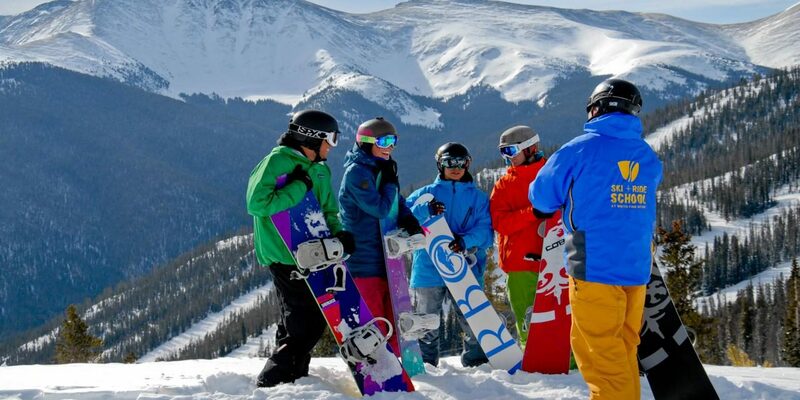 Luckily, many resorts offer teen lessons and clinics. Geared to skiers and snow-boarders ages 13 to 17, these programs allow them to attempt more aggressive terrain with a qualified instructor. 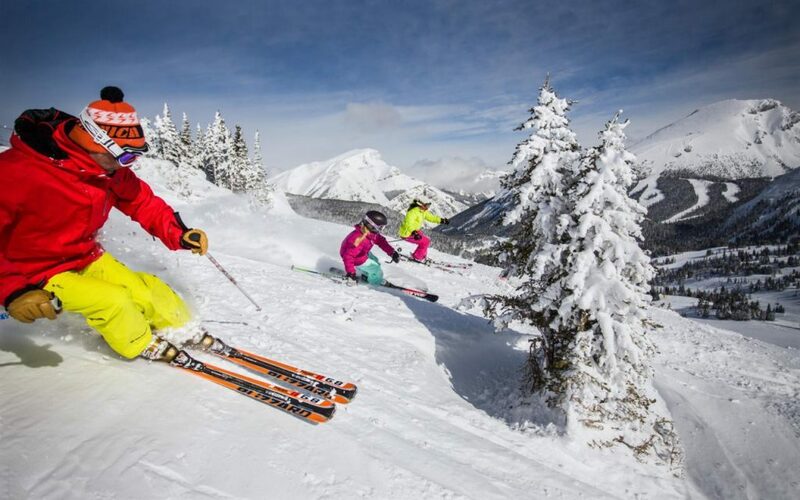 Many Western resort programs, like Whistler Blackcomb’s “Ride Tribe,” offer five-day lesson plans that run until midday, so you can still ski with your children in the late afternoon to see what they’ve learned. Lesson packages typically include meals and can be bundled with equipment rental. Do your teenagers look stonefaced after you suggest taking the same blue cruiser for a fourth time? It’s probably time to direct them to the terrain park, where they can speed and showboat along with other high school daredevils. Terrain parks—designated areas with ramps, halfpipes and rails ideal for tricks—are self-contained worlds of their own. Small lifts often service the park exclusively, and runs are short enough for teens to develop their gravity-defying techniques in a confined area. 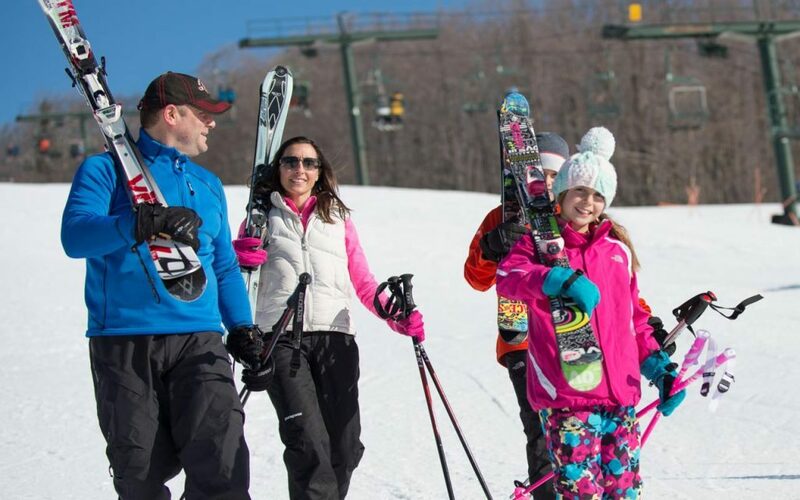 Larger resorts include several terrain parks at different altitudes and inclines, so your group members can select the park to match their skill level. Concussions are a common winter sport injury and can cause serious damage to skiers of any age, but adolescents are particularly vulnerable. Their still-developing brains and tendency to take risks leave them especially susceptible to head trauma, and a landscape filled with trees and boulders increases that risk. Luckily, helmet technology has improved to make modern headgear lightweight and stylish without sacrificing safety. Models such as the Giro Slingshot and Kid’s Anon are suitable for growing heads with numerous strap adjustments and additional padding. As well, make sure your teens are properly sunscreened. Colder temperatures or clouds don’t prevent all sunlight from breaking through, and higher elevation actually increases the intensity of UV rays. Garnier and Bioderma create lotions specifically for cold conditions, while balms like Ski Naked will prevent chapped lips. Après-ski is a great way for groups to wind down at the base area, but the teenagers in your group might not be suited for a fancy cheese plate or spiked cider. Fortunately, many resorts provide evening activities curated with adolescents in mind. Loon Mountain in New Hampshire has developed “twilight parties,” evenings where visitors ages 13 to 17 can snow tube, snowshoe, ice skate or scale the indoor climbing wall without their parents and enjoy pizza after-wards. Stratton Mountain in Vermont offers “The Wreck,” a 21-and-under club with video game stations, air hockey tables and basketball courts. For more extreme after-hours entertainment, Colorado’s Snowmass Mountain Outfitters lets young adults blow off some steam in an indoor paintball course. With advanced wireless coverage, it may be impossible to completely unplug your smartphone-wielding teens, but a new generation of apps is allowing groups to connect and compete. Most notable is EpixMix, an app employed in 10 resorts including Lake Tahoe, Park City and Vail. Features include Epic Mix Time, which tracks chairlift waits in real time, and the “Leaderboard,” which collates speed and distance skied from group members throughout the vacation and awards medals to top-ranking competitors. Adult leaders can track their child’s location on the mountain, while younger group members won’t have to worry about becoming lost. Plugged-in young adults skiers can also use Sherpa, an app that provides audio advice via helmet speakers. PreviousWhat Should You Keep Swinging At?